A bomb dropped during the war that never went off exploded Friday killing a construction worker and injuring eight others. NBC’s Brian Williams reports. EUSKIRCHEN, Germany – A World War II-era bomb exploded in the German town of Euskirchen near Bonn on Friday, killing a construction worker after his mechanical digger dislodged it and injuring eight other workers. Television footage from the scene showed the mangled wreckage of the digger’s cab and a nearby hut, and windows and doors blown out by the blast. “During excavations … the digger uncovered a wartime bomb, which exploded. The driver was killed, and several others close to the digger were hurt. Two are seriously injured and six lightly,” police spokesman Norbert Hardt said. “The blast caused significant damage, also in neighboring streets where glass and garage doors were blown out,” he added. Euskirchen is situated in North Rhine-Westphalia (NRW), Germany’s most populous state. During World War Two the state was pounded by Allied bombs, as it is home to one of Germany’s most dense industrial areas. House plants stand on the sill of a window broken by an explosion in the western German city of Euskirchen on Friday. Every year hundreds of war-time bombs are still uncovered in Germany, though most are successfully detonated. NRW’s interior ministry said it defused 706 bombs in 2012, 239 of which weighed more than 50 kilos. Experts increasingly use Allies’ war-time aerial photographs to find unexploded bombs, although many are also uncovered accidentally during construction work. Police officers inspect the wreckage of an excavator and a crater caused by an explosion in the western German city of Euskirchen on Friday. 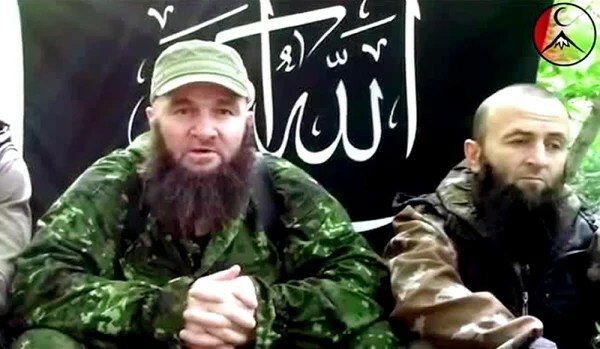 Russia’s top Islamist leader Doku Umarov, left, in an undated video posted on July 3, 2013. In a video statement this summer, the self-proclaimed emir of Caucasus declared that holding the global sports spectacular in the Black Sea resort amounted to “demonic dances on the bones of our ancestors” and said his band of rebels would “use all means” to derail the event. A security clampdown at Sochi makes a major assault at the actual Olympic Games unlikely, some analysts say, but Volgograd — some 600 miles northeast of Sochi — is the biggest city in the region and a transit hub. Two of this week’s bombings have targeted public transportation, which may give travelers from across Russia and around the world the jitters. No one has taken credit for the Volgograd carnage, and it’s not clear how much direct control Umarov, who is about 49, exercises over the loosely knit coalition of autonomous Islamist groups in the so-called Caucasus Emirate that could be to blame. But experts say the cabals under his umbrella share a common goal — global jihad — and he has become the camera-ready face of that ideology in the region. His early history is murky — he claims his parents were part of the Chechen intelligentsia and there are reports he got an engineering degree or did prison time — but he joined the insurgency against the Russian Federation in 1994 and fought in the second war that began in 1999. He rose through the ranks of the Chechen independence movement until he split off from some of his old political allies in 2007 and announced a new religion-based mission: to unite Northern Caucasus into a single Islamic state ruled by Sharia law. 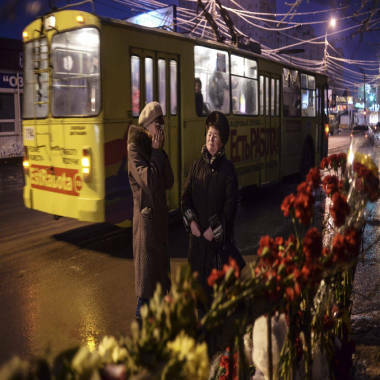 Flowers placed at the site of an explosion on a trolleybus in Volgograd. Although he had rejected terrorism in a 2005 interview, in his new role he soon embraced sabotage and attacks on civilians, arguing it was justified by the government’s brutal crackdown on separatists. In August 2009, a group linked to him claimed it had bombed the Sayno-Shushenskata hydro-electric plant in Siberia, killing more than two dozen people, though the government later insisted it was an accident. Three months later, Umarov’s separatists said they had orchestrated a blast that derailed the high-speed Nevsky Express train between Moscow and Saint Petersburg, killing 27 people. That was followed by the March 2010 suicide bombings of the Moscow subway, which killed 39 people. Umarov said it was retribution for the death of four garlic-picking villagers at the hands of security forces. Umarov also claimed he ordered the suicide bombing at Moscow’s Domodedovo International Airport, which killed 36 people in February 2011. “More special operations will be carried out in the future,” he said in a video posted on the Internet. The father of six — who retired as emir in 2010 only to change his mind days later — was even allegedly behind a plot to kill Russian President Vladimir Putin that was reportedly foiled in 2012. “He hasn’t been able to establish the authority over a network as successfully as someone like Osama bin Laden,” Kutchins said. Several times, Russian and Chechen officials have claimed Umarov was dead. But despite taking a bullet to the jaw and stepping on a landmine, he survived to to make his most audacious threat in July — that he would stop the Sochi Games. “Sochi has been under virtual lockdown and to penetrate that is going to be very, very difficult,” Kutchins said. “But to create a sense of terror in Russia and outside Russia about the Games could very well likely be the goal. The blanket-covered body of former Finance minister Mohammad Chatah ;oes next to the wreckage of his car in downtown Beirut, Friday. 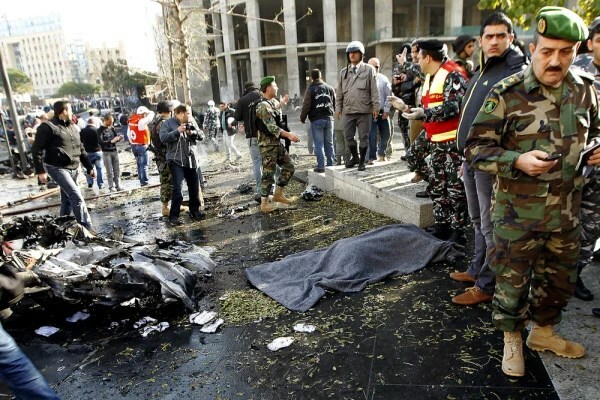 BEIRUT – The former Lebanese ambassador to the United States was assassinated early Friday by a bomb explosion close to the government headquarters in central Beirut that also killed at least four others. Mohammad Chatah, who is a senior aide to former prime minister Saad Hariri, was attending a meeting of senior leaders of the March 14 political party, which is staunchly opposed to the Assad regime in neighboring Syria and is very critical of Hezbollah inside of Lebanon. The blast, which apparently targeted Chatah’s convoy, set cars on fire and sent black smoke billowing into the sky above the recently-reconstructed upscale business and zone of Beirut, close to the Intercontinental Phoenica Hotel. Ex-ambassador to US and finance minister Mohammed Shatah, in this undated file photo. Four others were killed. Chatah’s driver was among the the victims, according to Reuters, citing security sources. Hariri heads the main, Western-backed coalition in Lebanon which is engaged in bitter feuding with the militant Hezbollah group, which is allied to Syrian President Bashar Assad. Chatah was also a prominent economist and former finance minister. 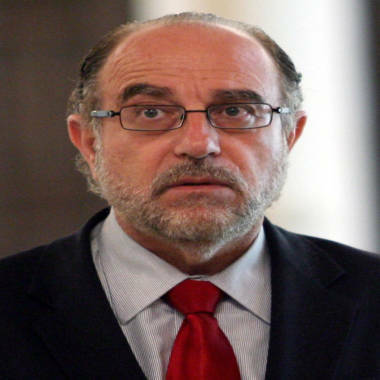 He also served at the IMF and was former vice governor of Banque di Liban. He was one of the closest aides to Hariri’s father, Rafik Hariri, the Lebanese prime minister who was killed in a truck bombing in Beirut in 2005 not far from Friday’s explosion. Chatah posted a tweet critical of Hezbollah less than two hours before his death. Lebanon has seen a wave of bombings over the past months as tensions rise over Syria’s civil war. 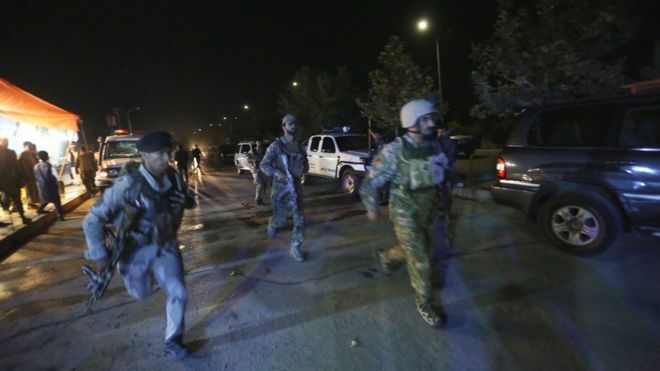 An Iranian diplomat was among at least 23 people killed in a suspected twin suicide bomb attack at the Iranian Embassy in November. An al Qaeda-linked terror group claimed responsibility – the latest sign that Syria’s civil war is spilling over the border into Lebanon. GlobalPost contributor Joseph Kechichian told news channel Al Jazeera that Friday’s bomb was “absolutely” related to the civil war in Syria. 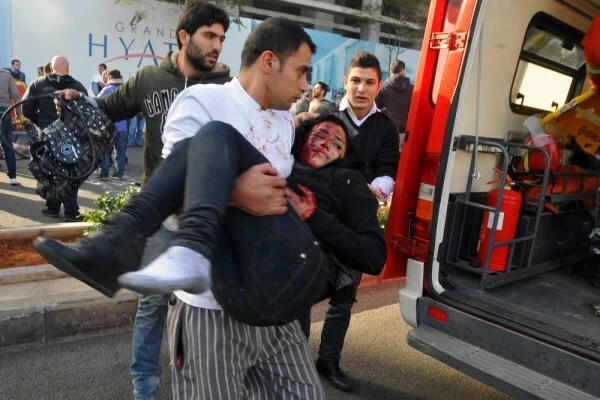 A Lebanese man carries an injured woman at the scene of the explosion in Beirut, Friday. NBC News’ F. Brinley Bruton and Reuters contributed to this report. Alastair Jamieson reported from London.